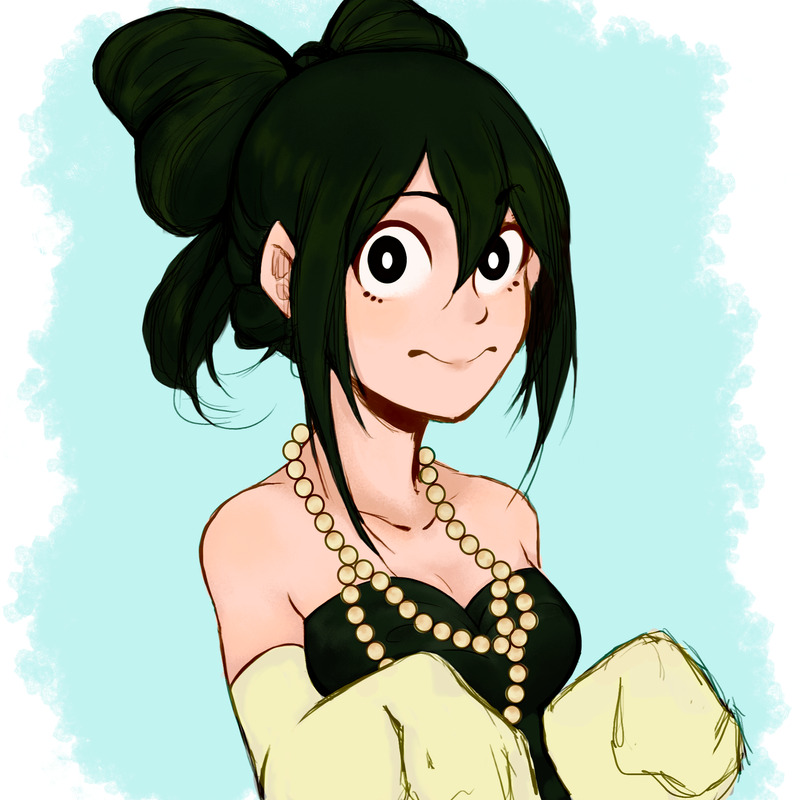 This is Tsuyu, and she's a character of the My Hero Academia Series. Her superpower is being frog-like (lol) and I believe that's enough with introductions. For this illustration I used Photoshop, a program that I love for edition but don't favor for digital drawing, because often than not my laptop tends to bug when I use the program for drawing while it runs normally otherwise. I made this… last year, I believe. I just wanted to try these brushes out and a way to get the "lineart" I desired, without actually having to do a lineart. This is the result. I got tired, so never finished her hands, but I like how everything turned out.